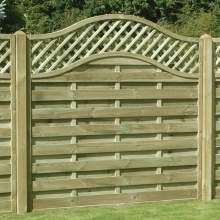 Our closeboard, also known as feather-edge, panels, are the heaviest duty fence panel we make and sell, and our most popular! 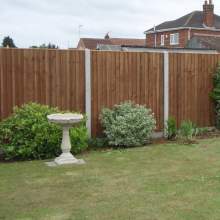 Although we may not offer the cheapest closeboard panels, we are confident in the quality of our workmanship, and guarantee you value for money! 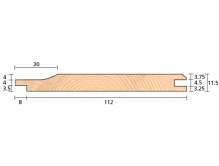 What makes our closeboard panels superior? 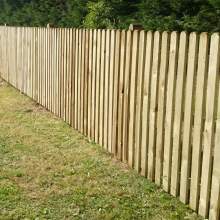 Pressure Treated – All our timber is pressure treated (also known as tanalising), extending the lifespan of your fence, saving you, both time and money! 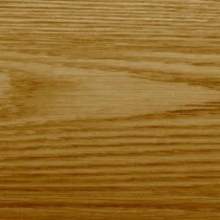 Log Selection – The raw materials which make up our closeboard panels are graded and hand-picked on site to suit the individual, intended purpose, of each piece. Processing and Manufacturing – We make these panels on our own custom designed, and built, panel-making machine. This means we see the product at every stage of manufacturing, and can eliminate any defects. Product Design – Our closeboard panels combine a traditional aesthetic with strength. 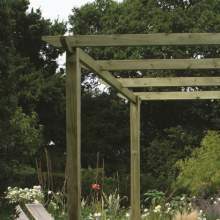 Each panel is fully framed and screwed together, whilst galvanised ring shank nails keep the boards securely in place. 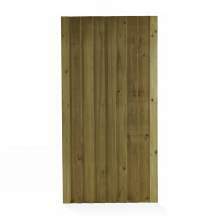 These panels are 1830mm (6 feet), and are suitable for use with timber, concrete, and plastic accessories. Do you have an odd shaped piece of land? 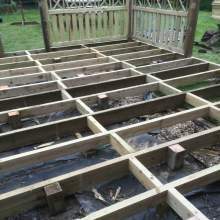 We make closeboard panels to bespoke sizes! 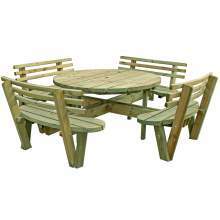 Contact us on 01205 359188, or visit our showroom to find out more.